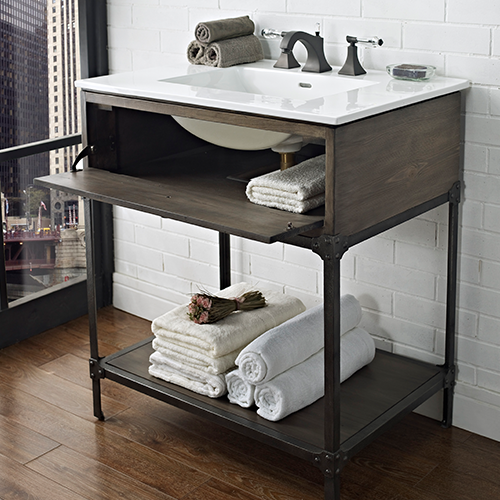 Fairmont Designs is a well-established furniture manufacturer specializing in home, bath and kitchen appliances. 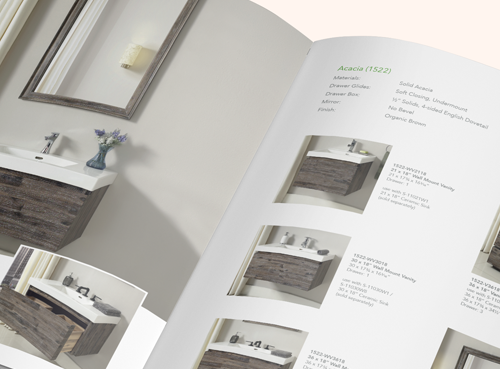 While in the past, the company would produce their own catalog in the house, but they soon realized that it was more efficient to have our designers work on it. 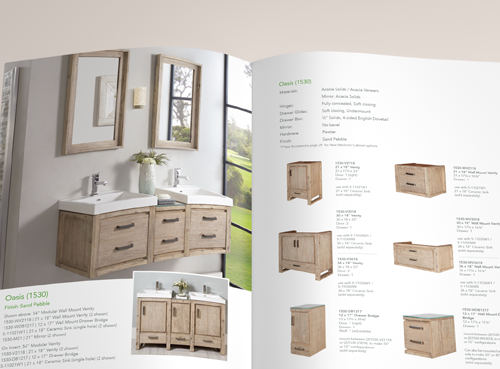 Our client needed a professional and clean catalog that displays the variety of products that was organized easily for people to understand and search for specific items. 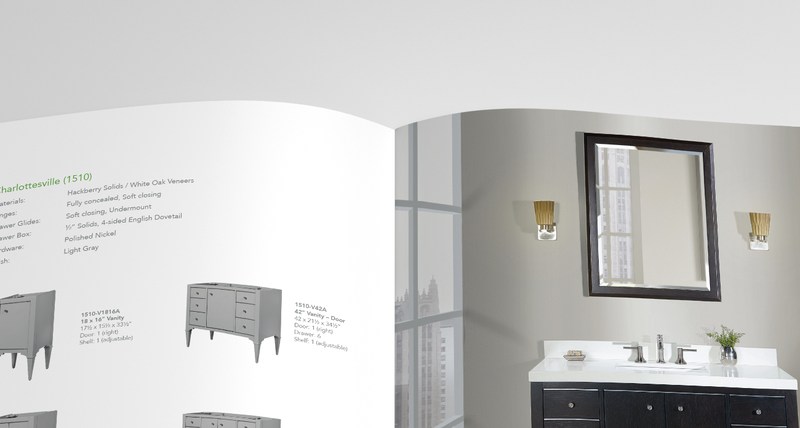 In total, the catalog would be around 400-500 pages so the main challenge for our designers was staying organized. 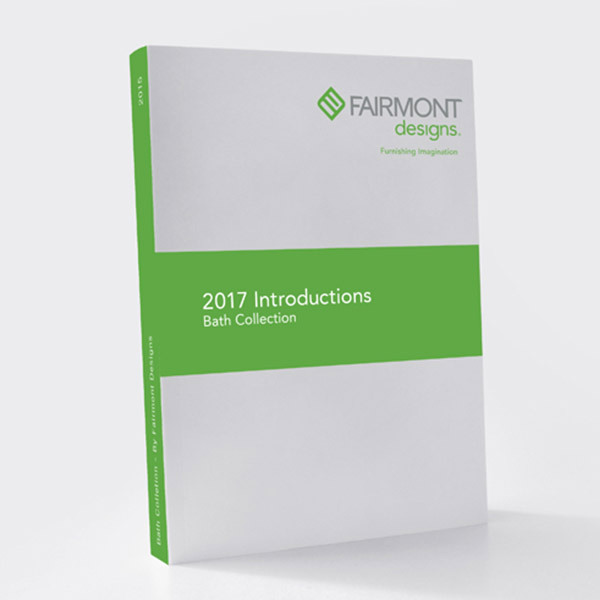 Our designers needed to design a catalog that was compatible with the existing branding and color scheme but also highlighted the client’s impressive collection of products. 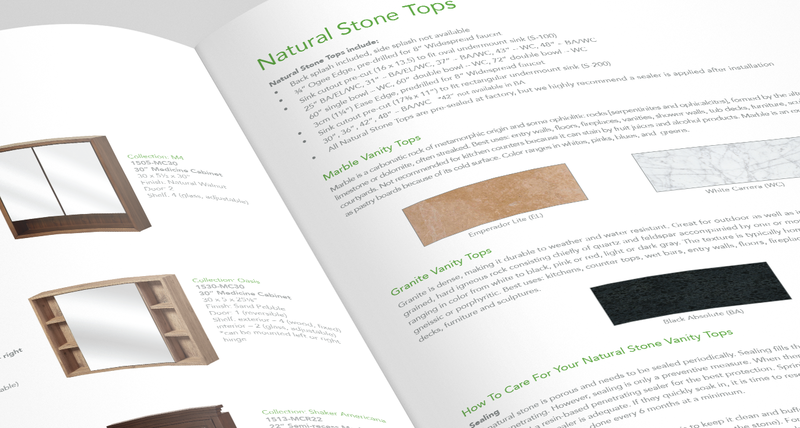 Our designers worked closely with their internal team working on wireframe and layout then applied the design throughout, and solidified a catalog style guide so that the catalogs will be more consistent in font treatment, spacing, and color. After the layout and design were finalized, our designers made sure to color correct everything to match all the wood, marble, and other material samples. We wanted to ensure that whatever would be printed would be as close to the actual product as possible. 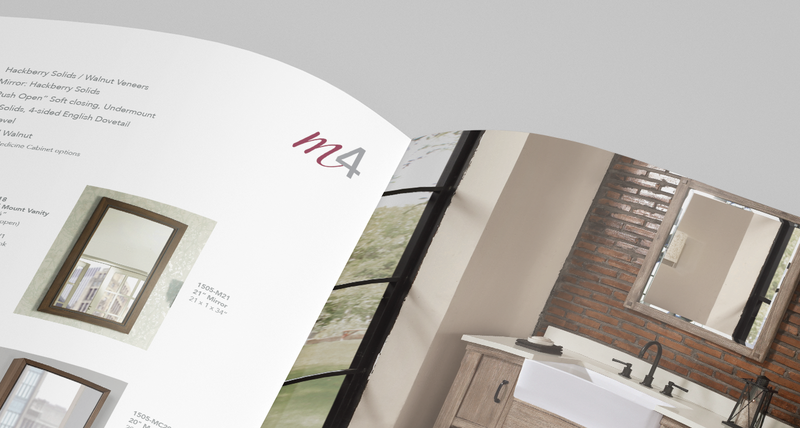 In addition, our designers worked closely with their printing company to pass along the technical specs to make sure that the catalog will print as closely as our designers have envisioned.